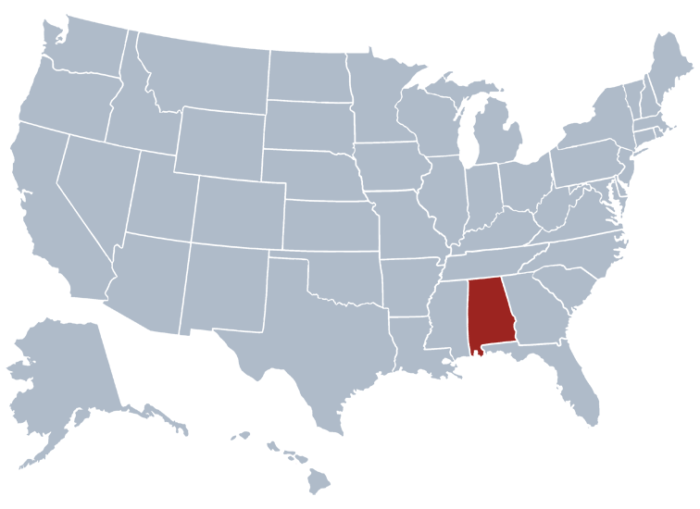 Businesses that want to be registered and authorized in the state of Alabama go to the Business Services of Section under the Alabama Secretary of State. This section of the SOS office is responsible for the records of all business entities in Alabama. Prime examples of entities found in the business registry are Cooperatives, Limited Liability Partnerships, Limited Liability Companies, Limited Companies, Limited Partnerships and Corporations. You can choose Entity Name, Entity ID, Reservation by ID, Officer, Agent or Incorporator Name, Date, or Month and Year as the basis of your search for a business entity registered with the Business Services Section. You can search for a business entity operating in Alabama by choosing one of the search options that you can find at the bottom of the Search Page. Access the Search Page using this link. Once the page loads, it will look just like the screenshot below. Fill the appropriate field with the entity name. We take “Digium” as an example of entity name. By clicking “Search”, the Results page will load, showing a list of entities under the name you have entered. Clicking an entity name will allow you to view more of its information. Check out the screenshot below to see how it looks like. Before you make a search for an Alabama business through Entity ID, make sure you know its ID number and most importantly, the business should exist. Go to this link to run that kind of search. As an example, we chose “453 – 831” as the ID number to be entered in the Search Box. After clicking search, the result page shows the Alabama company “Pizza by the Slice, LLC”. The result also comes with the company’s records. If you wish to enter a new ID, you can simply click “New Search”. On the other hand, clicking “Browse Results” will get you back to the Results Page. If you know the name of the Registered Agent, Corporate Officer, Incorporator, or the person who filed the documents of the business entity, this search feature is your best choice when searching a business that is registered in Alabama. You may use this link to perform this search. Once the page loads, enter the name and choose the officer type. If necessary, you may also type in the county of formation. Once all is set, you can click search to view the records. Click here to search a business by month and year. When the page finishes loading, you can select the month and the year to view the results. 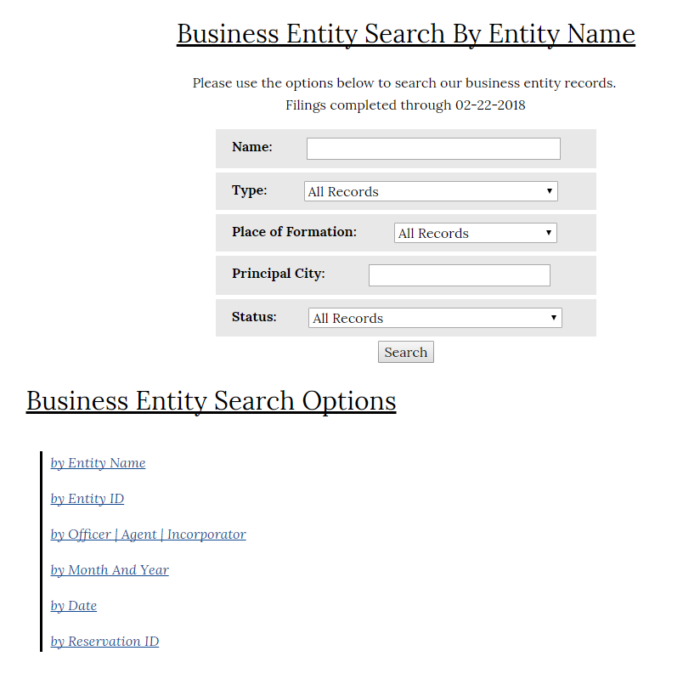 If you know the exact day when the entity was filed, you can go to this page to perform an Alabama Corporation Search. On the page, you will see a date box. Click it to select from the calendar then hit “Search”. Making an Alabama Secretary of State corporation search reservation by ID number is recommended if you have reserved a name or used another reservation filing in the state. By accessing this page, you will be to enter the reservation ID and click “Search” to find the Alabama entity you want to know. John Merrill of Tuscaloosa currently holds the constitutional office of the Secretary of State (SOS) of Alabama. Previous laws limited the term of this official to two years and required an appointment from the legislature to become the Secretary of State of Alabama. However, law amendments increased the term to two years and required an election from the public to place a new Secretary of State. The Secretary of State of Alabama (AL SOS) is responsible of the operation of various departments of the state, which include Business Services Section, Elections Division, Administrative Services Division and Government Records Section. The office also holds custody of the Seal of the State and secures all the state archives and public records.